The other day I was cruising on the web and found the very interesting youtube video. It is very funny vaping video. Non-Smokers face vaporizers and vaping for the first time. I found it very interesting. We must alway laugh. Laugh to life and in trouble. Vaping is the relatively new thing, but it is surrounded by controversy. Some people love it, some people hate it. But you can’t ignore it. There are numerous benefits that vaping gives you if you want to stop smoking. Many people say that vaping can lead to increase smoking in the teen population. Others disagree. No matter which group are you in this post will make you laugh. I am not an owner of this video or anything. 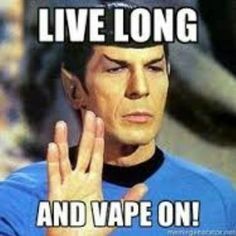 You can find funny vaping videos or memes, also there are many wallpapers on the web. I will try to found more and to post what I found.